In many cases, from the age of 55 you can withdraw a set amount of money from your pension tax free. This tax-free allowance is often 25% of the total of each pension pot, although different types of schemes have different rules. While thousands each year take advantage of this feature, it needs to be carefully considered because taking money early from your pension could leave you with a lot less to live on in retirement. What types of pension can I take tax-free cash from? The simple answer is: you can take tax-free cash from most types of pension. How and when gets a bit more complicated, depending on the type of pension you have. The six main types of pension can generally be split into two broad categories: defined contribution and defined benefit. This is where the money in your pot and therefore the income you could receive depends on how much has been contributed and how your investments have performed. This includes personal pensions, a lot of auto enrolment schemes and stakeholder pensions. Generally, with a defined contribution pension you can choose to take some or all your tax-free cash allowance from the age of 55. Usually, these are pensions you receive from an employer, where you are promised a guaranteed income for life from a specific age. The size of that income depends on your salary and how long you worked for the company; it is not affected by investment performance. With many of these schemes you have the option of taking tax-free cash. How much and at what age depends on the specific rules of the scheme. And any tax-free cash you take will usually reduce the value of your guaranteed income. How much tax-free cash can I take from my pension? For defined contribution pensions the tax-free cash allowance is usually 25%. So, if you had a personal pension worth £40,000 then your tax-free cash allowance would be £10,000. If you had another pension worth, say, £60,000, then your tax-free cash allowance for that scheme would be £15,000. The tax-free cash allowance for defined benefit schemes varies, as does the age at which you can take it. You would need to speak with your HR department to find out what tax-free cash you might be able to take and when. Often you have the option of transferring a defined benefit scheme to a personal pension plan, so that you can access 25% tax-free from 55. Taking this route could be very risky because you would be giving up a guaranteed income for life. These types of guarantees are extremely valuable and shouldn’t be given up lightly. In most cases the best option is to leave your defined benefit scheme as it is. Do I have to take all my tax-free cash in one go? Not at all! For defined contribution schemes you can take your tax-free cash as and when. Once you have taken the first 25% of your pension pot, any other withdrawals are taxed as income at your marginal rate1. 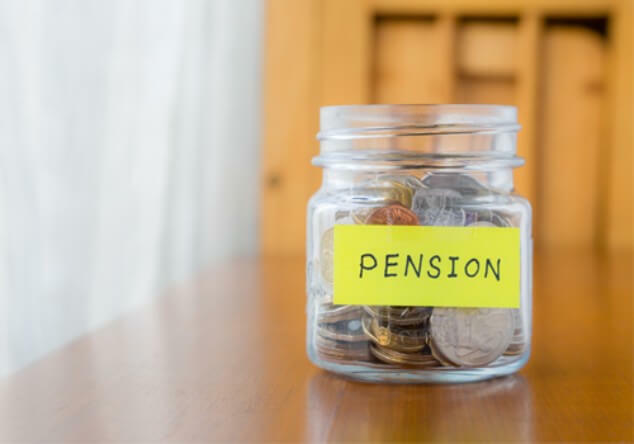 As you might have guessed, when it comes to defined benefit pensions whether or not you have to take your tax-free cash allowance in one go depends on the rules of the scheme. Why do people take their pension tax-free cash early? For many years people have taken tax-free cash from their pension early for a wide range of reasons. From tackling an outstanding debt2, or paying off the mortgage, to helping family members out with a big event, such as a wedding or a house deposit. The thing to remember is: if you take money early from your pension then it’s likely you will have less to live on in retirement and this could affect your standard of living. The right thing to do depends on each person’s circumstances. It’s about weighing up the benefits of sorting something out right now, such as clearing a debt, against the impact taking pension money early could have on your standard of living in retirement. What are the benefits of not taking pension tax-free cash early? By not taking pension tax-free cash early, you will have more money in your pot for your retirement plans. And more money in your pot should mean more financial security. The current rules mean you have more freedom that previous generations when it comes to how and when you access your pension savings. And as the traditional notions of retirement shift, this can be a good thing. Yet, if you want to cut down or stop working at some point then a bigger pension pot should mean greater opportunities when you reach that point in life. I’m under 55, can I take my pension tax-free cash? In almost all cases you cannot take tax-free cash from your pension before you reach 55. If a company or individual says you can then be very careful, as it could be a scam. Exceptions are sometimes made in limited circumstances, such as critical illness. 1All our opinions as to taxation and related matters are based upon our understanding of the current tax law and practice of HMRC, which is subject to change. Tax treatment depends on your circumstance. 2 If you are thinking of using pension money to clear a debt, then it makes sense to speak with a debt counsellor or to get advice about loan restructuring.